Koh Yao Yai (Big long Island) and Koh Yao Noi (Little long Island) are two long Islands of Koh Yao archipelago of Phang Nga province nearer Phuket province. Koh Yao Noi is an island of 4500 people who are mostly Sunni Muslims and most cordial. However, you can find this place as a piece of breezing paradise for your journey on the Andaman Sea. We will pick up you from your hotel early in the morning. Get on the boat from Bang Rong pier at Thalang in Phuket. Enjoy the boat tour to scenic Phang Nga Bay and pass the way of many tiny islands. After an hour boat tour, just get down on Koh Yao pier and step on the island of Koh Yao Noi. Through this cycle tour in this small island you will see a small market town, rice paddies, old mosques, fishing village and natural jungle. Paddling in your mountain bike cycle with joy and passing along the roadside through rice paddies are exciting moments. After swimming in clear water, your lunch will be provided on this beach area. After this good nosh up, continue your cycling through shaded rubber tree plantations. 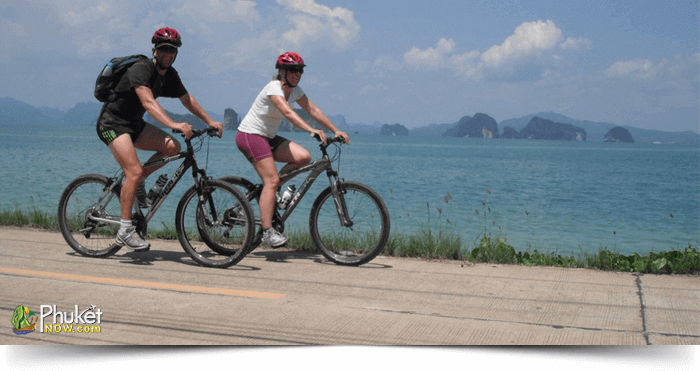 You will never forget this cycling experience with unseen scenery of the Andaman beauties on this island. Paddle the cycle to the pier at Koh Yao Noi. Board on the boat to back to Phuket. 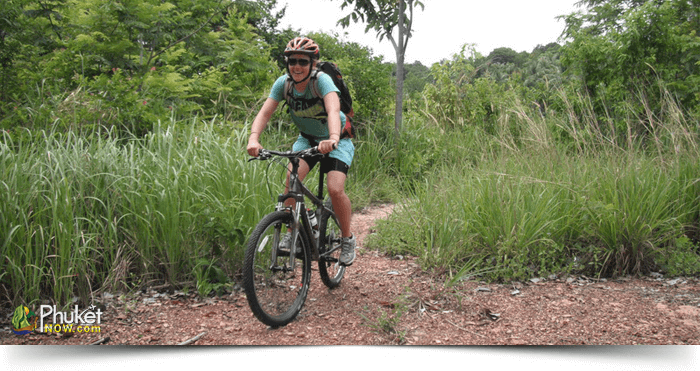 10:30-13:00: Explore Koh Yao Noi by Mountain Bike. 16:00-17:00: Return to your Phuket hotel. Sports shoes suitable for cycling, T-Shirt, Shorts or Long Pants, Sun cream, Hat,Sunglasses, Swimwear, Towel, Camera, a small backpack to carry these items when cycling as there is nominibus escorting the trip. Between 12 yrs – 16 yrs.